So, I’m in the process of rejuvenating my blogspot blog. 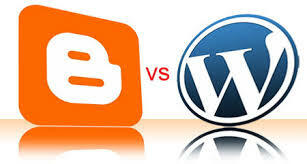 I’m having a hard time choosing between them, mainly because while wordpress is extremely versatile, and very sleek, most of my hits land on my blogspot address. I’m not certain why that is unless Google prefers blogspot over personal websites, but in order to expand my readership, I’ll be transferring and backing up everything on wordpress and to my blogspot address. I haven’t decided whether I’ll move over completely, so for the meantime, I’ll be maintaining both sites. Haven’t seen my blogspot blog? Check it out HERE! This entry was posted on Thursday, July 2nd, 2015 at 7:48 pm	and is filed under personal. You can follow any responses to this entry through the RSS 2.0 feed. You can leave a response, or trackback from your own site.